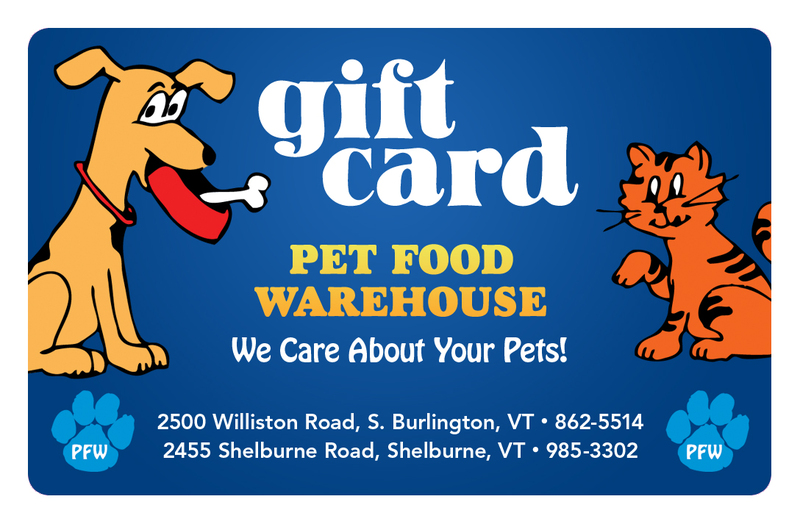 Interested in purchasing a gift card to Pet Food Warehouse? Please call (802) 862-5514 to order a gift card over the phone and have it mailed to you or a loved one. Gift cards expire after five (5) years. Please call (800) 863-5597 to check the status of an existing gift card.